The modern businesses have two main options for trading which are known as the online trading and offline trading. In this market, one can take an only calculative risk,and a blind game can prove as a costly affair. For a trader, it is important to look at some factors while choosing any of these options. Both of the options have certain limits as well as advantages which must be accurately gauged so that right decision can be taken. The ultimate aim of a trader is a high profit, but here only trading at desired margin does not suffice, and hence it is important to know that a rupee saved is also equal to be a rupee earned, and hence one needs to spend with great care. In the market, one can go for an offline or an online account. The market has all the resources,and hence one must know the pros and cons of both account such as online and offline before selecting any of them. Selection of a wrong account may lead to a dangerous situation where one may have to bear loss also. Hence knowing the same in advance can prove more helpful in earning a required profit on a regular basis. The trader can choose any segment as per his requirement. The online stock trading is an easy option compared to the offline one. However one needs to know which will be better for him as both of these types of transactions has own pros and cons that one needs to know before going for any of them. 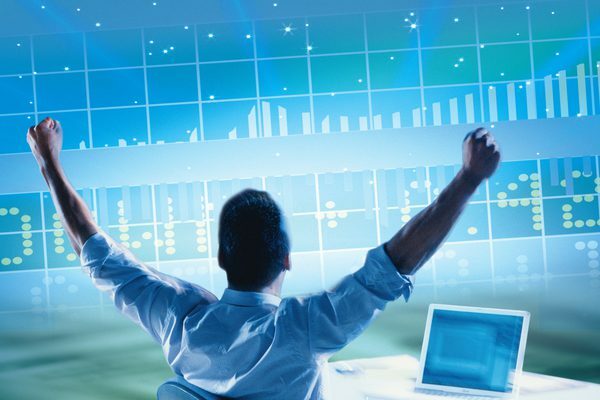 In the online trading, the client can have complete command in his hands. He can pass the transaction as per the change of market situations and also set limits looking at the market. Not only that, he can also set limits whatever he wants to as per his convenience. He can change the limit as per the market and also check the balance he has in his account. In case of low balance, he can directly transfer to the trading account from bank account. If he wants to have a payout from the trading account, he can also place a request for the same. If there is any technical error,he can also have support from the service provider or can ask temporary support from the bolt operator. The most important feature of this account is one can trade at a low rate of brokerage as usually the brokers, as well as broking houses, offer low rates of brokerage on online accounts. However, this account is also not free from a few limitations. One needs to have knowledge of trading as well as passing the transactions on the software or application. The online trader also needs to have an internet connection on his mobile phone or computer through which he can trade in the live session. Hence one can go for this account after keeping all these factors in mind.